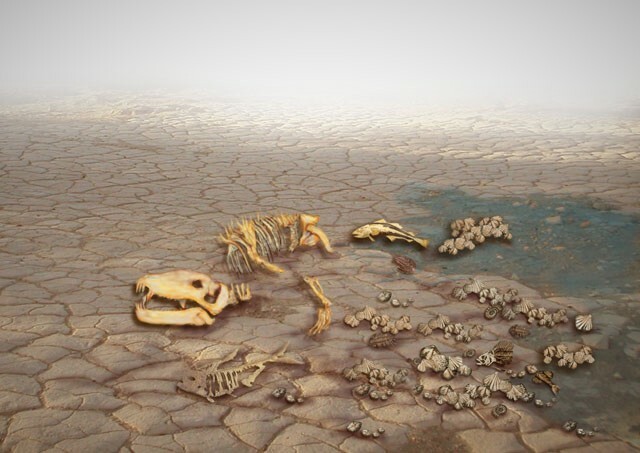 Scientists say rapidly warming oceans played a key role in the world’s biggest mass extinction, 252 million years ago, and could point to the risks that lie ahead in an era of similarly rapid climate change. The latest analysis, published in this week’s issue of the journal Science, puts together computer modeling of ancient ocean conditions and a close look at species characteristics to fit new pieces into a longstanding puzzle: What were the factors behind the Permian-Triassic mass extinction, also known as the Great Dying? This entry was posted in GeekWire and tagged Climate change, Marine Science, Oceans, Paleontology, Science, University of Washington. Bookmark the permalink.